Closing out the Summer of Salsa are LA Chikas. 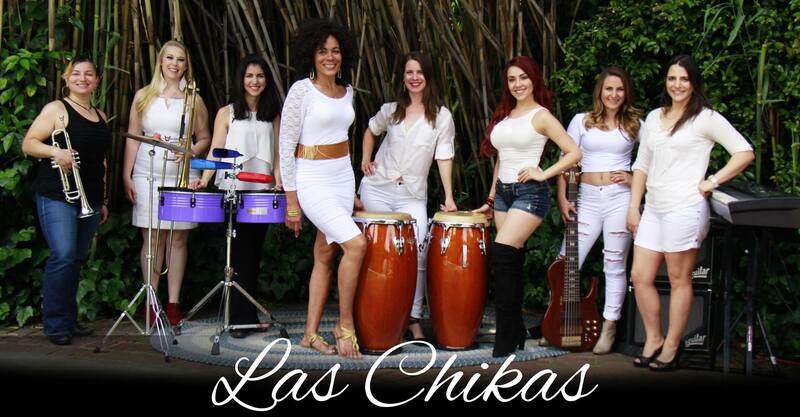 The all-female Las Chikas is comprised of some of the most talented female musicians in Los Angeles. Salsa never looked so good in the City of Los Angeles, a melting pot of cultures, and ethnicity come together to give birth to a multicultural female band that set the stage on fire! Guidelines: Bring your lawn chairs, food and water/soft drinks. No outside alcohol, please.